Halloween is here and Lexie, Bella and Maddie couldn't be happier. But why does everything feel so different? Fewer houses are decorated and fewer kids are out trick-or-treating. Still, that's not going to stop the three girls from eating as much candy as they can before their parents can stop them, even if that means fighting each other for it. When they finally discover a haunted house worthy of their favorite holiday, they forget their parents' warnings and go in alone, only to discover that the house really is haunted, and not only that, but they've been transported to a whole different world! 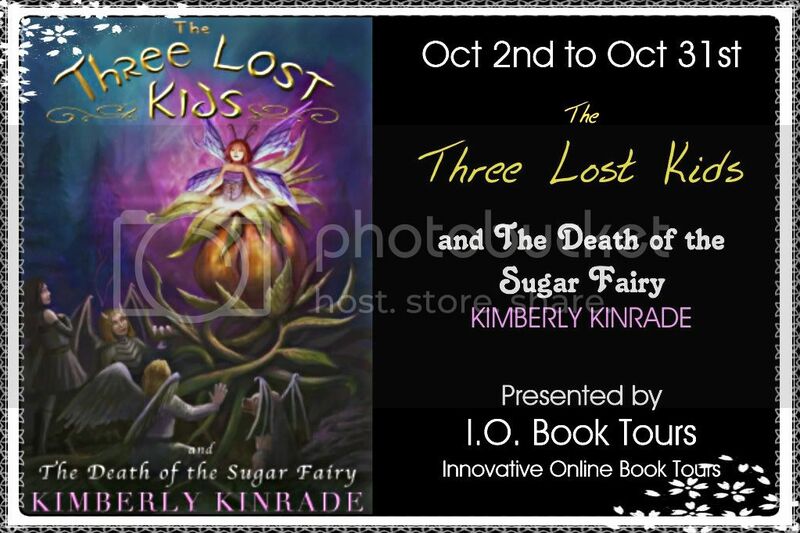 A dying Sugar Fairy in one of the abandoned rooms send them on a quest to find her Sugar Baby and the magic Sugar Flower in order to save her and Halloween. If they fail, Halloween will be gone forever, and they'll never return to their family. But with Sugar Bug attacks, the Cavity Caves where they must face their deepest fears, and giant gummy bears armed with candy cane swords, the girls aren't sure they'll make it. Their only chance is to work together, using each of their strengths to help each other. Can they stop fighting over candy long enough? Or will they be trapped in the dying Sugar Land forever? Check out Kim at all her links!!! On November 26, 2012 Release of: The Three Lost Kids & The Christmas CurseChristmas all year is every kid’s dream, but what if it’s really a curse?January 15, 2012 Release of:The Three Lost Kids & Cupid’s CurseValentine’s Day will be littered with broken hearts if the the three lost kids can’t save Cupid.